You can have our experts personalize all or just some of the kit templates for you. 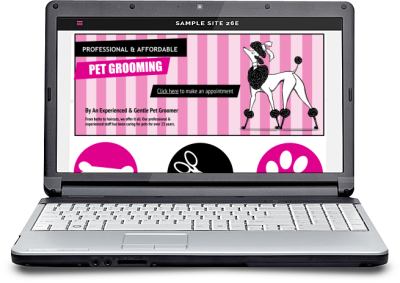 We also offer full-service marketing of your pet business. Simply let us know what you need, and our experts will take it from there. Services start at as little as $20 and up. 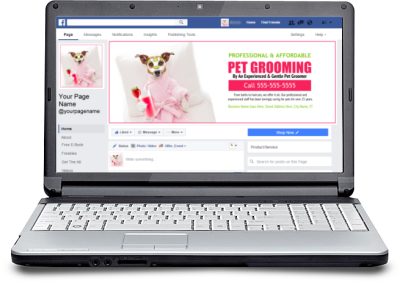 Let our experts setup and optimize a beautiful, lead generating Facebook page for your pet grooming business. Our experts create & SEO optimize a beautiful website for your business. Setup on your choice of top networks(Godaddy, Weebly, Shopify, Wix or others) - Ensuring you with 100% ownership of your site. 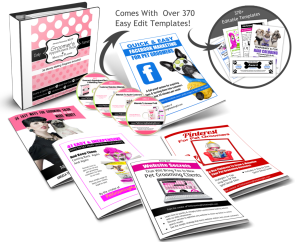 Our experts edit all the kit's templates to include your business info. Includes ready to print pdfs of every piece. Shipped to you on 4 CD's w/ booklets.